Among all the disasters your property will endure, water-related problems are the most common. Usually, they are caused by natural disasters and structural problems, and can sometimes get out of hand. Most people will handle the situation via do-it-yourself methods or home knowledge, but there are circumstances wherein these options cannot solve the problem. Water is a formless element, and because of this fact it can easily be stored or absorbed in any given space. During the event of the disaster, your initial reaction is to get rid of the liquid that is trespassing into your home. Once that is dealt with, however, it is possible that you have missed a few areas that need to be dried. Ignoring these damp or moist surfaces is not an option because, in due time, they can become the perfect places to harbor noxious toxins and damage the internal systems of your devices. For example, mold and mildew love to grow in dark, damp, and humid environments; and if certain spaces have been wet for too long, it is possible that they will manifest there. Their presence should be a concern of yours because the spores they emit are known to generate asthma and allergies. Another situation where you do not want to be caught up in is plumbing overflow. Water that is coming from the drain or pipe is riddled with bacteria, and letting it enter your property will not bode well. If they are not cleaned properly, you are exposing yourself with harmful substances that will make you sick. With our help, the root of the problem is resolved with speed and ease and thus, leaving you with a healthy and safe home. 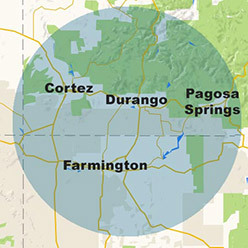 Complete our contact form for further questions and details or call 970-235-9151 to schedule your consultation. 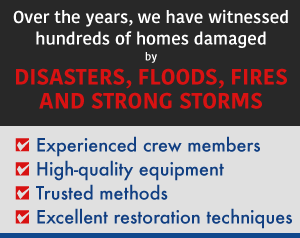 Contact us today at 970-235-9151 for water damage restoration or other restoration services for your home or business.